Who Said This? "I am decent. I also happen to be naked." Who Said This? 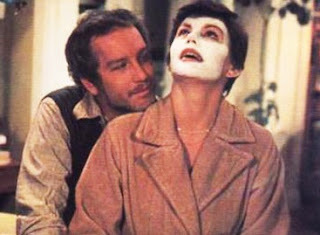 Answer: Richard Dreyfus in The Goodbye Girl. Who Are We and Which Film is This? We made our film debuts together in a movie banned from the Venice Film Festival through the influence of the US Ambassador to Italy. A Senate committee had decided it would not have positive effects on young people. Who Are We and Which Film is This? Answer: Vic Morrow and Jamie Farr in Blackboard Jungle. Who Said This? "Get your finger out of the end of my gun!" Who Said This? Answer: Walter Brennan in Support Your Local Sheriff. 1. 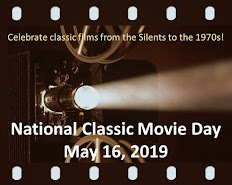 Name 4 films that Paul Newman made with Strother Martin. Answer: Slap Shot, Harper, Cool Hand Luke, and Butch Cassidy and the Sundance Kid. 3. Name the three Warner Brothers films made by George Tobias and John Garfield during the 1940s. Answer: Between Two Worlds, Air Force, and Nobody Lives Forever. Without (too much) further ado, here is this week's TT, enjoy! And yes, we have a new Errol pic! Who Are We? We were both born outside the United States. One was rehearsing for a Broadway production when he hired the other as a fencing instructor. The lucky instructor ended up with a role in the play and subsequently was offered a Hollywood contract, becoming a major leading man and director himself. Who Are We? Who Said This? Person #1 "Well, I just overheard him talking to some of the guys, and he said that his... his time in the army were the best years of his life." Person #2 "What's wrong with that? Lot of guys feel that way about the service." Person #1 "Harry was in the army for 4 years and 3 of them were spent in a Japanese prison camp!" Who Said This? 1. 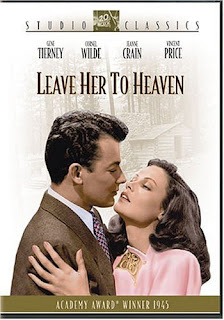 Gene Tierney was not the original choice for the role of Ellen Berent in Leave Her to Heaven (which netted her an Oscar nomination for Best Actress). Name the actress who turned the role down. 2. 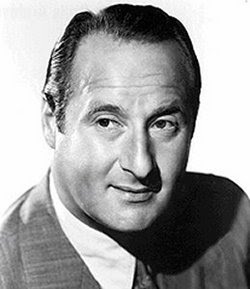 Name the well-known leading man of the '40s and '50s who hosted a British cooking show in the early 1970s, and wrote a number of cookbooks as well. 3. Name three films that Spencer Tracy made with Hedy Lamarr. 4. This film was a remake of a Fred MacMurry vehicle made ten years earlier. 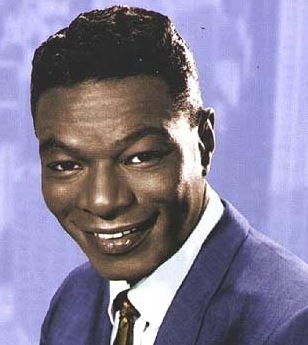 The remake was set in a different country and featured Nat King Cole. Name the film and the star who played the MacMurry role in the remake. 5. This star became such a pain that the director was ready to replace him; only the intervention of two of his co-stars saved him. Name the actor, the director, the (early '60s) film and the co-stars. 6. Name two films in which James Garner and Eva Marie Saint appeared together. For WHO ARE WE, I'll try Cornel Wilde and Laurence Olivier. 4. Errol Flynn had the lead role in ISTANBUL, which was a remake of Fred's SINGAPORE (and borrows some elements from CASABLANCA). As for where Errol's character hid the diamonds in ISTANBUL, look up! Dawn, you're right! You got both of them...good job! Very good, Rick, I'm impressed! I couldn't answer Who Are We? last night when JoAnn came up with it, LOL! But I was tired (lame excuse!). 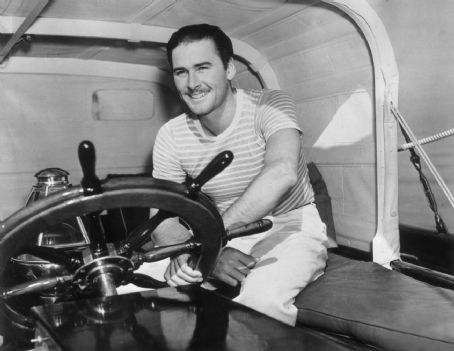 And yes, you got this week's Errol Flynn question! Boy, is Becks going to be mad! Recap: still need to answer Who Said This?, 2, 5, and 6. No, I'm not mad -- I've been so busy since Friday I haven't even had a chance to try, and actually I have an appointment now, so I'll have to come back later and hope that there are some questions left to answer! Another great Errol pic, Jo Ann. Doesnt' he have the most charming smile! Hey, my Dad was an avid Errol Flynn fan! Growing up (pre-video), it was a family event when one of Errol's pic was on TV. 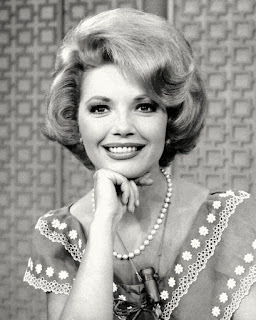 WHO SAID THIS was Ellen Burstyn to Alan Alda in SAME TIME, NEXT YEAR. Hey Becks...glad to hear you're not mad (and that you approve of this week's Errol Flynn picture)! Rick, you're on a roll! Person #1 is Ellen Burstyn and Person #2 is Alan Alda in Same Time Next Year...good job!